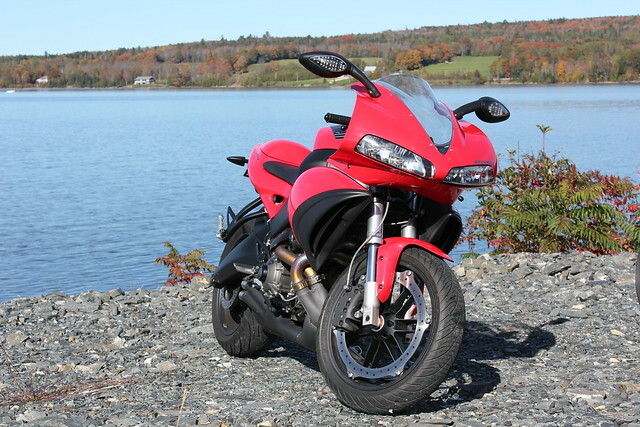 The 2014 riding season is finally here! It seems like it was a longer than usual winter and I was starting to get impatient with late season snowstorms, crappy roads, potholes, etc. The weather turned last weekend and it was nice to have a sunny Saturday! As a result, I just had take advantage of the day! First on the agenda, my Rocket - 2009 Buell 1125R! I connected battery cables and pulled the 1125R out to the driveway. I gave the 1125R the once over safety check, fluids, brakes, lights, tire pressure, etc. and decided to install my new Zero Gravity SR windshield. It was a quick install and I am very pleased with the look. The smoked shielded fits well with the red and black colors of the bike. Next, it was on with the gear and time to go for a rip! I went for a short 60km ride and it was great! With the new EBR rotor/stator upgrade and a new K&N air filter, the 1125R seems to work much better. I did not notice any difference between the Zero Gravity windshield and the stock shield and to be honest, I did not expect to feel a difference. It was so nice to get back on the road and just enjoy myself...a feeling all bikers know! Yesterday was another great weather day and it was time to get my 2013 Street Glide out of storage. I took the afternoon off work to get the Street Glide ready for pick up. Unfortunately, I did not get to ride the Street Glide as the Harley Davidson dealer was in town and they were picking up the HD to take it for it's 10,000km checkup/service. 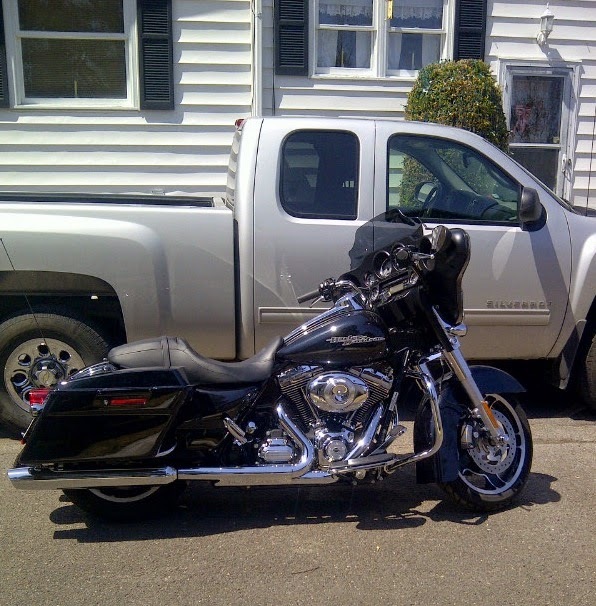 It was great to get the Street Glide out and I should have it back mid-week! I did however take advantage of the weather. After the Street Glide was loaded on the trailer and on it's way to the dealer, I fired up the 1125R and went for a 100km ride! I am looking forward to a great riding season! Life is good! That Buell is so badass! Here's to a long summer full of rides!